After installing the theme make sure you install the Option Framework plugin. Once done,go to theme options and set the slider, site description and save it. 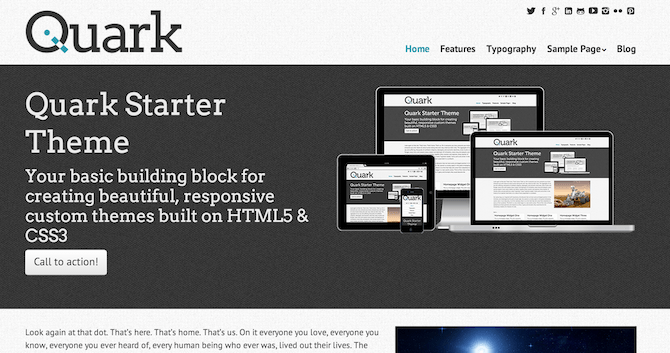 Quark is a Starter theme; what you might otherwise call a framework. It was build with the altest compliant HTML5 and CSS3 code and is fully responsive. In short, it is a beautiful blank slate with which you can build just about anything you want. It’s not a convoluted or confusing framework that’s hard to learn or even harder to modify. 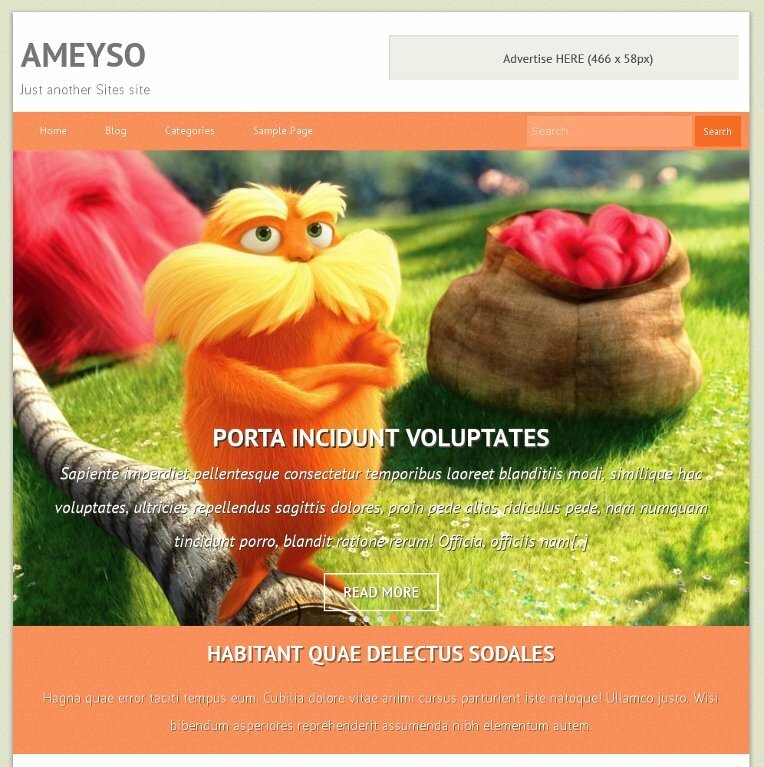 It’s a simple and elegant starter theme built on HTML5 & CSS3. 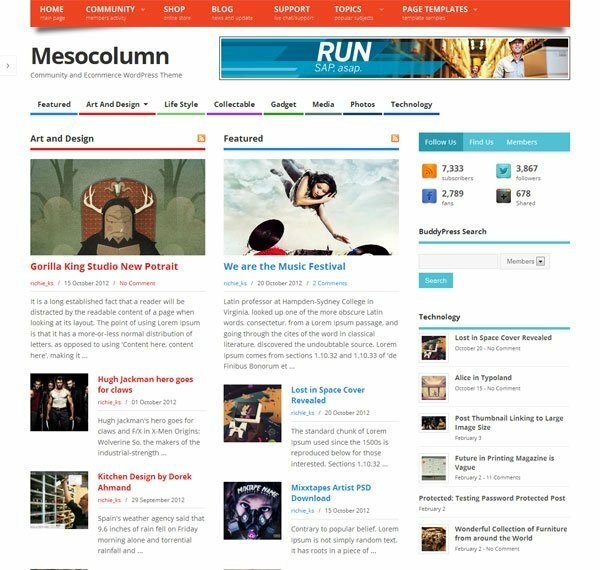 Its base is a responsive, 12 column grid. 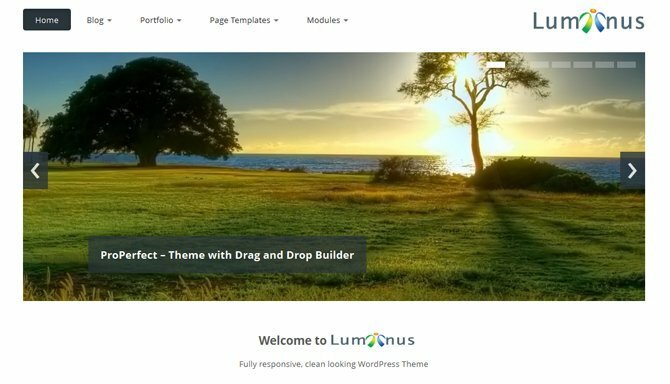 It incorporates custom Theme Options that are easy to modify, a set of common templates, support for WordPress Post Formats and the gorgeous, retina friendly Font Awesome icon font. Spun is a clean, lightweight, responsive theme that steps out of the way to put the focus on your content. The theme’s navigation is hidden — hover anywhere to the far left or right of your screen to see links to previous and next pages or posts. Gridster has been designed with simplicity in mind, it has a left-aligned sidebar which also serves to display the menu and site logo. The homepage is made up of a grid of your images which is responsive meaning it will change dimensions depending on what size screen you view it on. Simply create your categories and start adding images to create your site – no other configuration is needed. 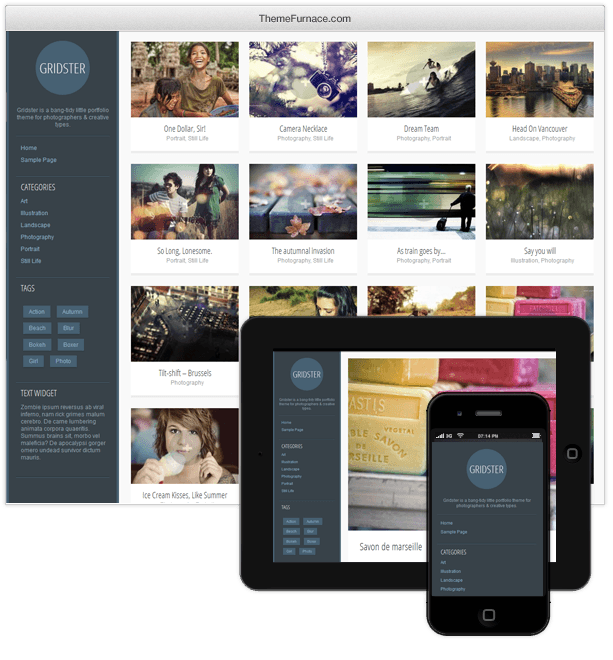 Gridster is a tidy little portfolio theme for photographers and creative types. 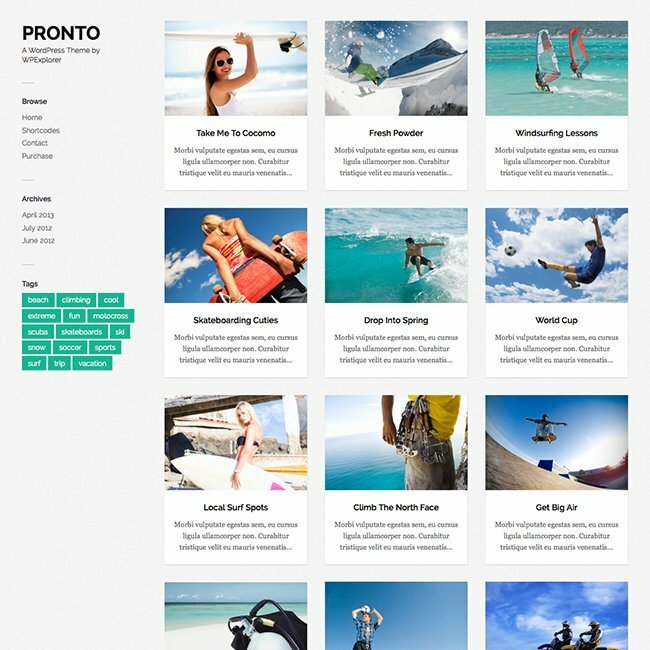 It has a grid-based homepage, left sidebar and space to show off your images in style. Full version of this theme includes a full-featured theme options panel and customer support. This is the “lite” version of the theme, free to download. On top of that, the theme also support popular community WordPress plugin, BuddyPress and popular ecommerce WordPress plugin, WooCommerce. Need to setup forums? 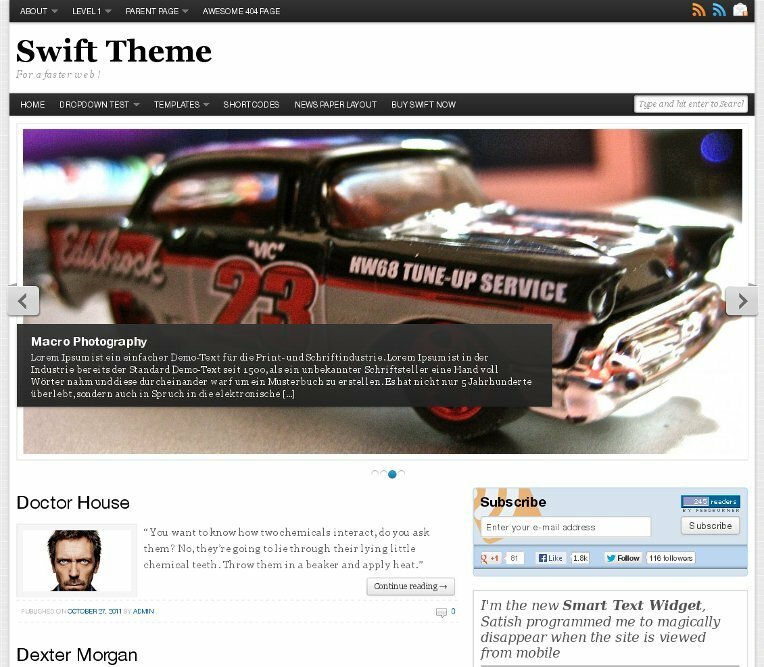 No worry, the theme also support WordPress Forums plugin, BBPpress. Tuesday is responsive and customizable theme. It’s inspired from minimal and flat design. Choose between three available layouts and add blog logo. The theme allows you to control your typography. With font settings you can choose the font you like from Google Web Fonts, and use it instantly on your blog. Tuesday supports header images and background settings.The theme also adds two new widgets, and it’s optimized for phones and tablets. Do you need more themes? Check out the previous installments: May, June, July. If you are a free theme producer and would like to feature your themes in our monthly roundups then please get in touch! Great collection buddy i am going to download some of them and use on of them that will suite for my site!